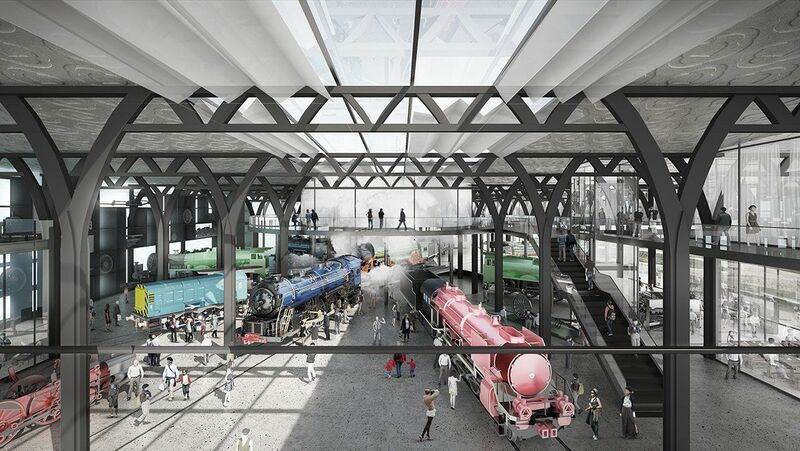 Competition design for Leicester Transport Museum from longlisted Trine Vittrup of Farrells. The longlist of 23 for this year’s RIBAJ Rising Stars in association with Origin has been announced. Potential members of the 2018 cohort include architects from Farrells, David Kohn Architects, Birmingham-based Glenn Howells Architects, multi-disciplinary Terence O’Rourke, the Melbourne branch of Weston Williamson and small rural practice Butcher Bayley Architects. The nominations showed this generation engaging in competitions, delivering major commercial projects, specialising in contract issues, innovating to improve their practice, buildings and construction by writing apps, using YouTube and bringing people together. Trine Vittrup, Architect at Farrells, entered with a project based around her work developing an interiors brand for the company, something which she has started to do successfully, and is expanding and growing on. Winners will be announced progressively between 29 October and 1st November on ribaj.com, followed by a supplement in the November RIBA Journal. They will be selected by judges Ros Kerslake of the Heritage Lottery Fund and Neil Gillespie from twice Stirling shortlisted Reiach and Hall as well as Angharad Palmer of Pocket Living, Steve Melville of Format Engineers, Friedrich Ludewig of ACME and the RIBA Journal’s Eleanor Young.